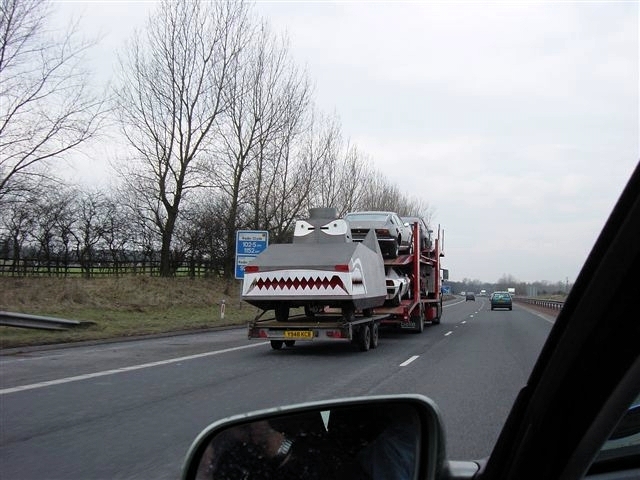 Tony Eastwood observed this transport on the M74 south of Glasgow (travelling north) February 25th 2003. Luckily he had his camera with him. 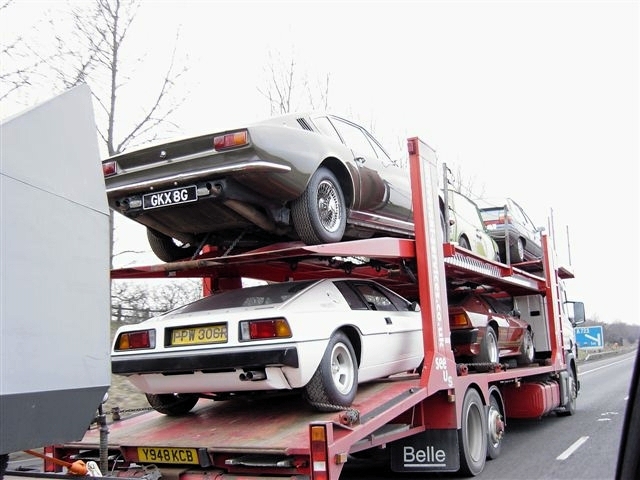 The vehicles belongs to the museum 'The Cars of The Stars' in Keswick, Cumbria (the Lake District) in United Kingdom. They own as far as we know the only reconstruction of the 'Dragon' tank from 'Dr. No'. Thanks to Tony for letting us use his photos.